The six-monthly public opinion barometer for June 2018 confirms the optimism among the city’s population regarding the future and approves of the work of the municipal government. 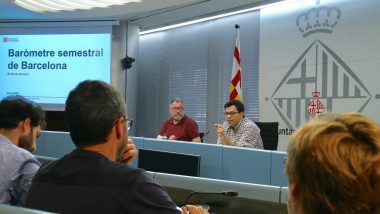 The three main concerns among people in the city are the relationship between Catalonia and the Spanish state, tourism and access to housing. Nine out of ten people surveyed think rents should be regulated and more public housing created. Some 69% of those interviewed approve of municipal management, the best marks of the current term of office, while 55.1% consider it good or very good. 29.5% of people believe the city has improved in the last year, a rise of between 4 and 5% compared to previous results. The survey showed that 72% of people are optimistic about the future and believe Barcelona and Catalonia are both on the up. The figure represents a 10% improvement on the previous survey and is the best score since March 2004. The percentage of people who consider the city economy as either healthy or very healthy is back up to 59.6%, the highest score since the year 2000. 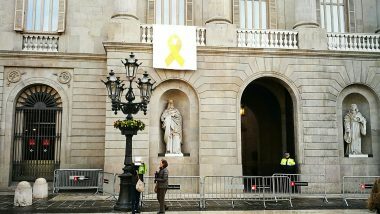 The political conflict between Catalonia and Spain continues to be the main issue for 14.2% of people in Barcelona. Among others though, concerns over tourism remain (10.5%) and there is a considerable rise in concerns over access to housing. Last December just 4.8% of those surveyed considered this to be the main problem in the city, while in June 2018 that figure comes out at 12.3%, with 8.4% of people noting it’s the issue which most affects them personally. Because of this, the barometer sought more details on this issue. Some 94% of those polled considered housing a problem in the city, with 48.6% defining it as very serious. In terms of formulas for tackling the issue, people offered various spontaneous solutions, the most common one being to adjust prices (42.5%), followed by an increase in social housing (28.4%), coinciding with the strategies being pursued by the city government. 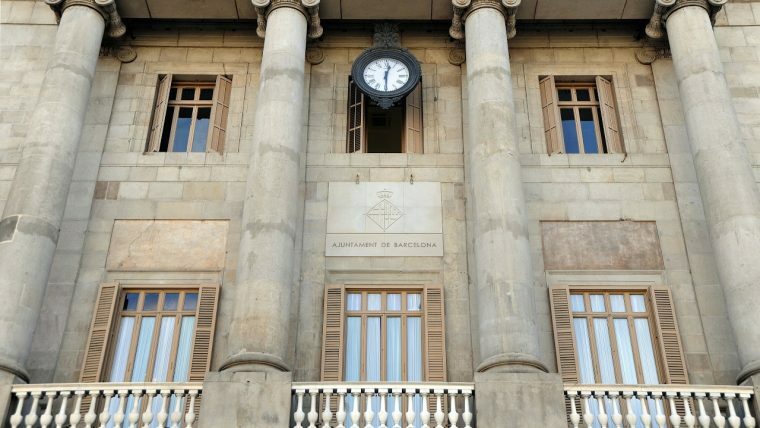 The June barometer was compiled using 800 telephone interviews, conducted between 4 and 14 June, a few days after the composition of the new Government of Catalonia and the vote of no confidence against Mariano Rajoy. Because of this, no opinions were sought on the performance of the two governments. 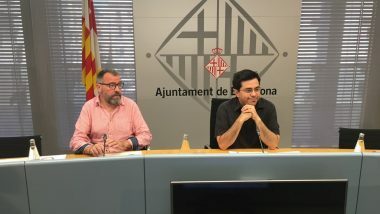 The Mayor remains the best known municipal leader (99.4%), increasing her score to 5.4, the same as the former Mayor Xavier Trias. Alfred Bosch rated third (5.3), followed by Jaume Collboni (5). The rest of the leaders of political groups scored as follows: María José Lecha (4.6), Carina Mejías (3.1) and Alberto Fernández Díaz (2.7). The barometer shows Barcelona en Comú as the main political force in terms of voting intentions, with 16.2%. The ERC drops from 16.5% to 12.4%, while the PSC remains on 6.1%. The PDeCAT scores 5.6% in terms of voting intentions, with Cs getting 5.2%, the CUP 3.1% and the PP bringing up the rear with 0.6%. The June 2018 barometer is the last survey to ask people about their political and electoral preferences, given that municipal elections are due to be called for May 2019.